Since 1990 we have been providing custom brokerage services for all kinds of Air & Sea shipments by using our own Custom Broker License No.11/864 to various customers of different industries. Our wide experience extends to almost every type of commodity and segments but more specialization in the field of Capital goods and spares, Instruments and appliances, Project Import registration and clearance, Solar Business, Special Valuation Branch (SVB) registrations and finalisation of cases, Oil & Gas sector, Break-bulk and Roro shipments etc. Most of our dedicated managerial,sub-managerial as well as field staff is with us right from inception of the firm and contributing to our success. Due to vast exposer received by these dedicated hands in resolving all kind of challenges in the trade, they have developed expertise in giving instant solution to customer’s needs. They all are fully conversant with latest rules and procedures of Customs, Central Excise, DGFT as well as various allied acts which are required to be complied with by importing and exporting communities all along, prior/during/post custom clearance-shipment process. The S. K. Agency is a well-established global freight and trade network, offering a single-source solution to manage and transport freight. With a team of experts supervising operations, We offer the best fit solutions with its unparalleled access to a vast network of transport facilities. All of which provides its customers with faster and wider access to vital markets globally. With its proven expertise and experience in Customs Clearance and freight management, S. K. Agency has contracted with top shipping companies and today delivers time-definite services for a variety of clientele. If you have issues or problems regarding the export-import business, then we can help you. Export import consulting is one of the best ways to solve problems and overcome obstacles what you face in export import business, fast. Our international export import business consultants are helping you based on their long experiences and knowledge in export import industry. With the support of our experienced team, we are able to provide Import Export Consultancy Services to our clients in a hassle-free manner. Our service is appreciated for its reliability and cost-effectiveness. Our service is also in compliance with the customer's requirement's. We provide all our services in a proper manner without any hassle. Moreover, we offer our services at the best prices. We have a team of complete range of 3PL and 4PL Warehousing and distribution services. Our Facilities blend modern systems and equipment with industry-best practices to lower your warehousing and distribution costs while increasing your service levels. Our team’s unmatched experience in managing dedicated and multi-user facilities supports customers. S. K. AGENCY Logistics network of multi-client distribution centers gives you unparalleled flexibility to manage your dynamic distribution requirements. Typical agreements allow you to pay only for the space and services you need, when you need them. Our multi-Client warehouse solution enables you to control warehouse costs by sharing overhead with other clients. S. K. AGENCY is the single-source contact for many customers with multiple distribution center needs across the country, continent or globe. We can design solutions tailored to your unique needs with facilities, equipment and people dedicated to your business. This allows you to focus investments on supporting your core business. Our dedicated warehouse management solutions helps you reduce operational costs through efficient processes and targeted use of warehouse automation and reduce inventory through better supply chain planning. Though we are not fleet owners ourselves due to strategic reasons, we do have a associates team of large fleets owners spread all across India to cater to any kind and all kind of transportation needs of our customers. This team of associated transporters are well equipped with to provide the safe, secured and prompt transport service at any point of time with safe delivery of cargoes and covering major cities and locations of India. For import and export cargos ships are arranged on freight basis for cargos purchased by various PSUs who are on FOB (FREE ON BOARD). Ministry surface transport has got a chartering wing for chartering cargos on FOBS headed by director of chartering. They have enlisted brokers for chartering ships on fob basis. They register qualified brokers for chartering daily meetings are held to announce the cargos for ships. Chartering brokers submit their petitions on behalf of the ship owners who can give the ship for lifting the cargos on specific dates on reasonable freight rates. Daily the transchart meetings the controller of chartering on behalf of the government announce the freight rate for the cargos. 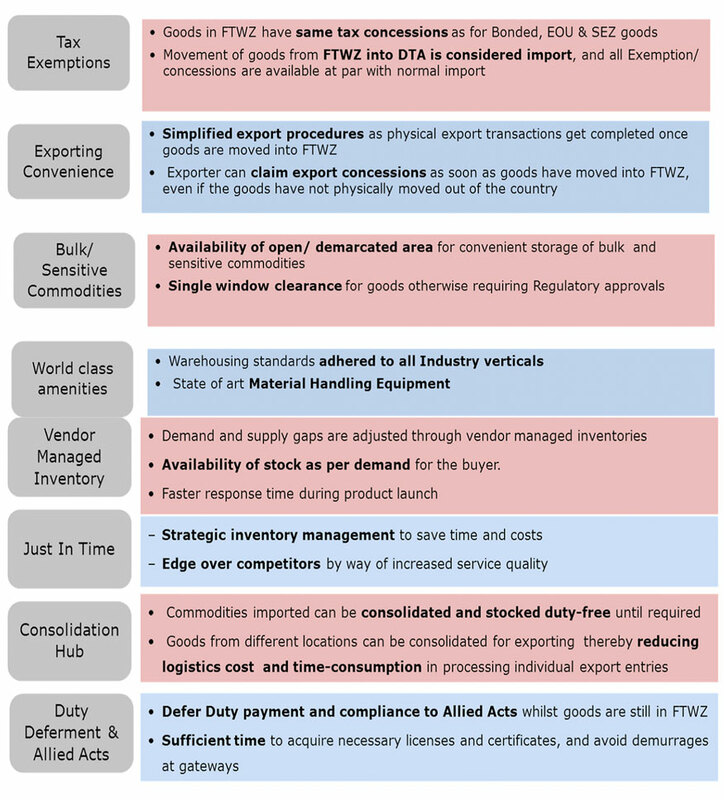 “Free trade and Warehousing Zone” (FTWZ) is a Special category of special Economic Zone (SEZ), wherein mainly trading and warehousing and other VAS activities related thereto are carried on”. S. K. AGENCY handles Free trade Warehousing Zone, General & Bonded WH, cold storage Warehousing facility and manages storage & distribution services for leading companies in India and worldwide. Further, we have customers who are international branded companies importing bulk cargo to the INDIA and selling within INDIA or re-exporting to the Middle East / Africa / European as per market requirements. S. K. AGENCY logistics consolidate and manage the Movement of Merchandise to distribution centers and retail outlets domestically, regionally and around the globe.